Are you kidding me?! 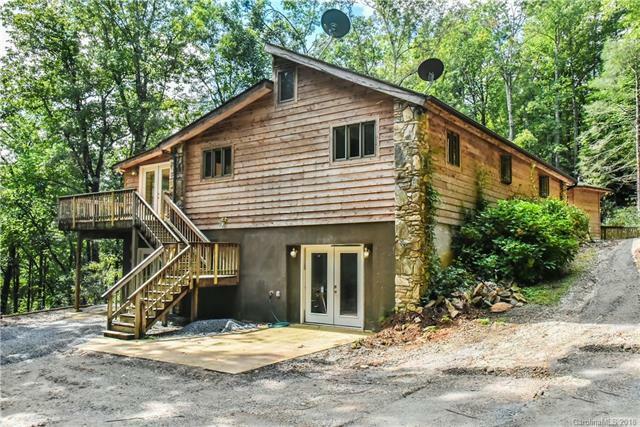 A great house AND almost 57 acres AND a horse barn AND a waterfall AND a pond for less than $600,000? Private mountain horse farm with ongoing renovation of four bedroom house. Only 24 miles to the Tryon International Equestrian Center. Pasture land and old logging roads through the woods can make for great horseback riding. Whole-house backup generator. Whole-house water filter. Three thermostat-controlled gas fireplaces plus a small wood burning fireplace which is capped but could be easily reopened. $230,000 of tax value is deferred due to tree farm status which could be continued by new owner. Possible additional homesites. Drone footage at: https://youtu.be/N1PB-TuZdmo Also listed as MLS#: 3432525 SFR and 3433826 farm. Come sit on the new deck and listen to the waterfall!